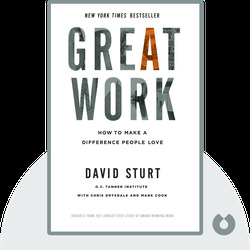 Whether you're an entrepreneur or a corporate employee, Great Work lays out the five primary skills you need to make a difference that people will love. These blinks look at iconic innovations from recent history to offer clear examples of how you can create or improve upon your ideas so they have a positive impact on people’s lives. 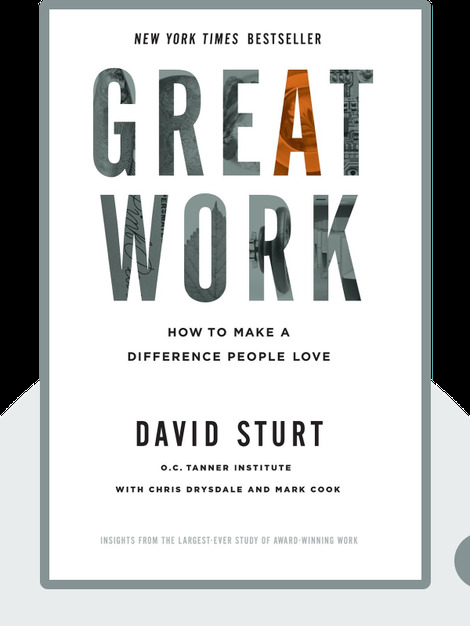 David Sturt is the executive vice-president of consultancy O. C. Tanner, as well as an advisor for numerous Fortune 1000 leaders. He speaks to audiences worldwide on engaging employees, inspiring contributions and rewarding outstanding results.